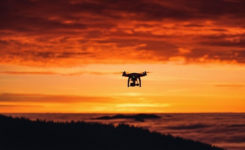 NASA plans to install a Locata network (LocataNet) as the core positioning technology for safety-critical unmanned aerial systems (UAS) research at its Langley Research Center in Hampton, Va., according to an announcement by Locata. NASA Langley is tasked with performing rigorous and repeatable scientific evaluation of new UAS safety and technology concepts under development. The LocataNet will provide high-precision non-GPS-based positioning, navigation and timing (PNT) that is essential for this work. Known for its long history of aeronautics research, NASA Langley is a key center for UAS research and development. In June, one of Langley’s unmanned hexacopters (a drone with six rotors) delivered medical supplies to a clinic, the first such delivery by an unmanned drone. Locata’s centimeter-accurate positioning will now assist NASA to develop and improve flight-critical technology systems that support air transportation safety, efficiency and performance. Langley’s extensive state-of-the-art facilities will be further enhanced with the installation of the LocataNet. The NASA LocataNet is scheduled to be installed and commissioned before the end of 2015. Locata will supply the LocataLite Transmitters and Locata receivers required by NASA for the installation. Aviation-quality Locata antennas, developed by Cooper Antennas (UK) and previously used by the U.S. Air Force in its own military LocataNets, will also be installed. Locata engineers will support the physical installation, ongoing training and the future technical support required by NASA Langley for this world-first UAS deployment. 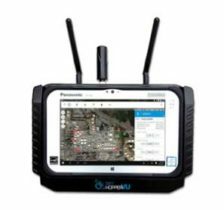 Locata Corporation has invented new terrestrial positioning networks which function as local, ground-based replicas of GPS. These networks can be thought of as “GPS hotspots,” according to the company. Locata has amassed 146 granted patents to date protecting these innovations, with many more patents in the works. Locata is currently shipping commercial systems to demanding and professional end users such as the USAF, NASA, Leica Geosystems, and many others. Locata enables their integration partners to extend GPS-like positioning coverage to modern industrial, commercial, consumer and government applications in areas where GPS is erratic, jammed or unavailable. NASA Testing Program. As part of its UAS research, NASA is testing a system that would make it possible for unmanned aircraft to fly routine operations in United States airspace. Through the agency’s Unmanned Aircraft Systems Integration in the National Airspace System (UAS-NAS) project, NASA, General Atomics Aeronautical Systems, Inc. (GA-ASI) and Honeywell International, Inc., are flying a series of tests which began on June 17 and will run through July at NASA’s Armstrong Flight Research Center in California. “We are excited to continue our partnership with GA-ASI and Honeywell to collect flight test data that will aid in the development of standards necessary to safely integrate these aircraft into the National Airspace System,” said Laurie Grindle, UAS-NAS project manager at Armstrong. This is the third series of tests that builds upon the success of similar experiments conducted late last year that demonstrated a proof-of-concept sense-and-avoid system. The tests engage the core air traffic infrastructure and supporting software components through a live and virtual environment to demonstrate how a remotely piloted aircraft interacts with air traffic controllers and other air traffic. “This is the first time that we are flight testing all of the technology developments from the project at the same time,” Grindle said. This series of tests is made up of two phases. The first is focused on validation of sensor, trajectory and other simulation models using live data. Some of the tests will be flown with an Ikhana aircraft, based at Armstrong, that has been equipped with an updated sense-and-avoid system, as well as other advanced software from Honeywell. Other tests will involve an S-3B plane from NASA’s Glenn Research Center in Cleveland, serving as a high-speed piloted surrogate aircraft. Both tests will use other aircraft following scripted flight paths to intrude on the flight path the remotely-piloted craft is flying, prompting it to either issue an alert or maneuver out of the other aircraft’s path. These flights will also conduct the first full test of the traffic alert and collision avoidance system (TCAS II) on a remotely piloted aircraft. During the June 17 test, which lasted a little more than five hours, the team accomplished 14 encounters using the Ikhana aircraft and a Honeywell-owned Beech C90 King Air acting as the intruder. A second test was flown the following day, with a total of 23 encounters. The project team plans to fly more than 200 encounters throughout the first phase of the test series. “Our researchers and project engineers will be gathering a substantial amount of data to validate their pilot maneuver guidance and alerting logic that has previously been evaluated in simulations,” said Heather Maliska, Armstrong’s UAS-NAS deputy project manager. The second phase of the third test series will begin in August and will include a T-34 plane equipped with a proof-of-concept control and non-payload communications system. It will evaluate how well the systems work together so that the aircraft pilots itself, interacts with air traffic controllers and remains well clear of other aircraft while executing its operational mission. The aircraft, which will have an onboard safety pilot, will fly an operationally representative mission in a virtual airspace sector complete with air traffic control and live and virtual traffic. The article indicates this system is used in the US. How many land stations outside the U.S. would be required for world-wide coverage?